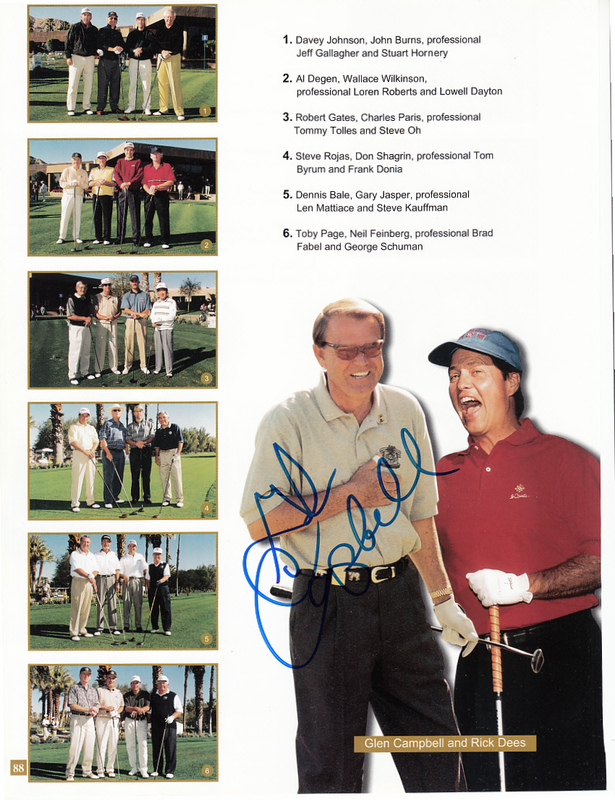 2000 Bob Hope Chrysler Classic golf tournament program page featuring a photo of Glen Campbell, autographed in blue Sharpie by the late, legendary country music singer. 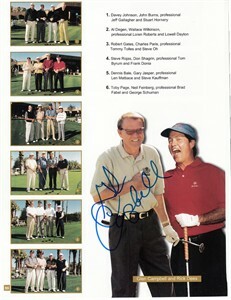 Obtained in person at the tournament. With certificate of authenticity from AutographsForSale.com. ONLY ONE AVAILABLE FOR SALE.